After Christmas my favorite day of the year is New Year’s Eve. 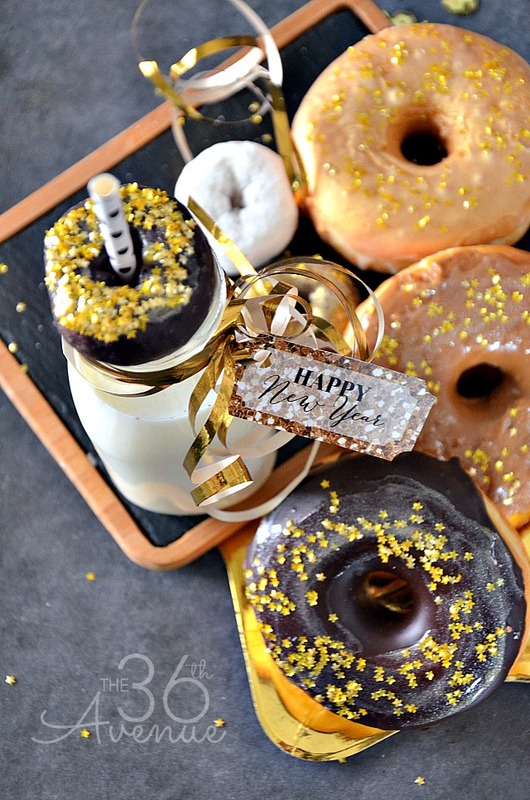 I’m always trying to come up with New Year’s Party Ideas and today I’m sharing my sparkling donuts perfect for New Year’s Day Breakfast! 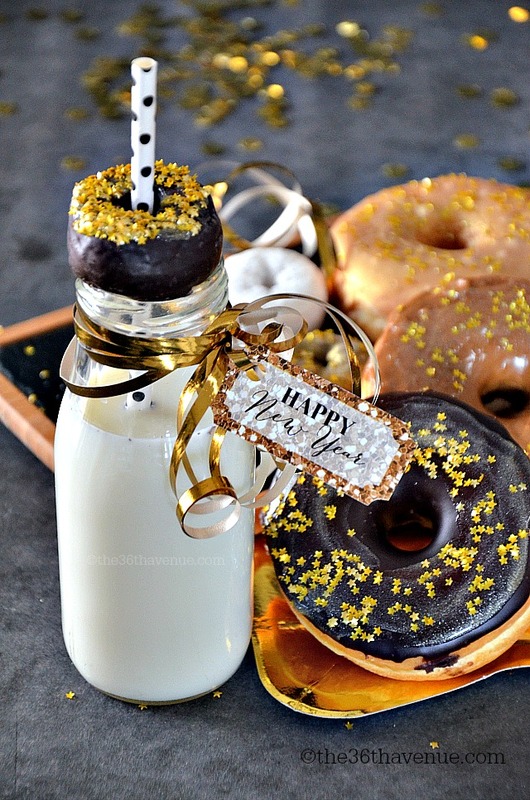 The best part about this is that these are store bought donuts, if you are a fan of our blog you know by now that we love easy, quick, and extraordinary. Take a look! 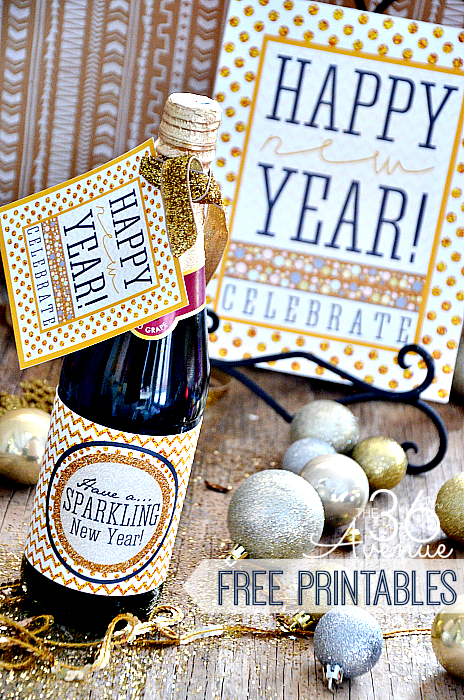 A little milk, our cute free tag printable and you are ready to start the New Year with a sparkle! Your favorite store bought donuts. 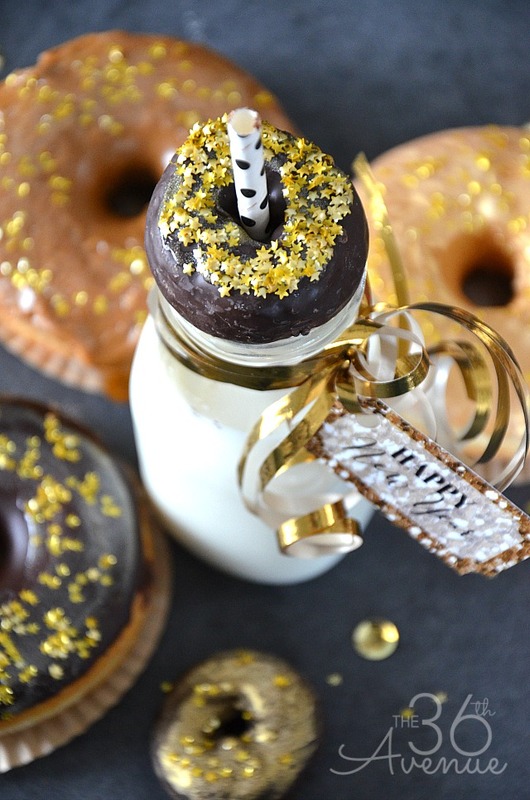 Edible Gold Star Sprinkles – You can find them at your local Craft Stores or HERE. 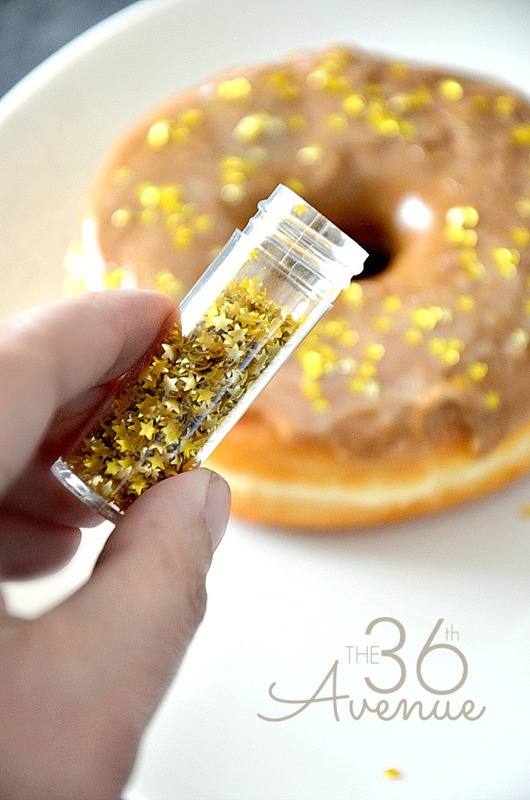 Edible Gold Sugar Sprinkles – You can find them online HERE. 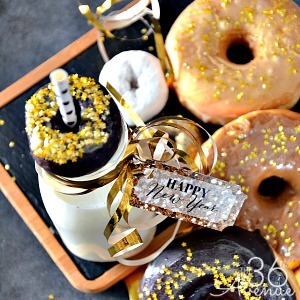 Edible gold spray paint – You can find it at WalMart or HERE. Gold or Sparkle Gel or Corn Syrup. 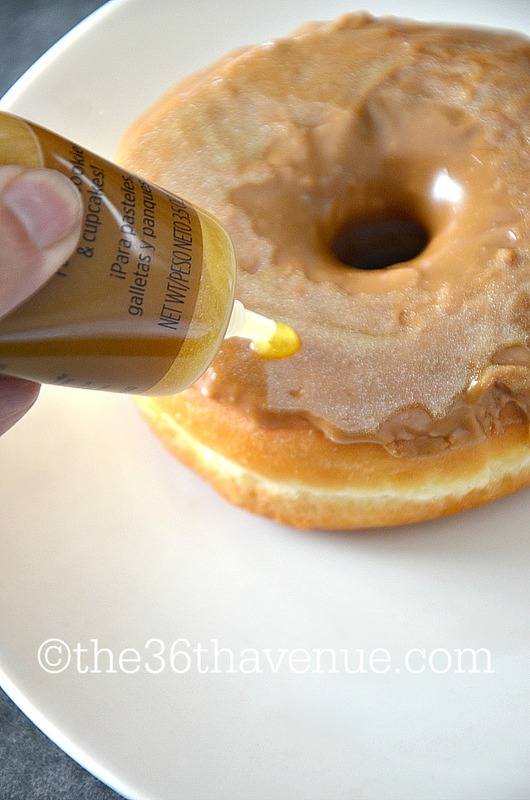 Put a small amount of Sparkle Gel on top of the donut and spread it with a knife. This would act like a glue for the sprinkles. 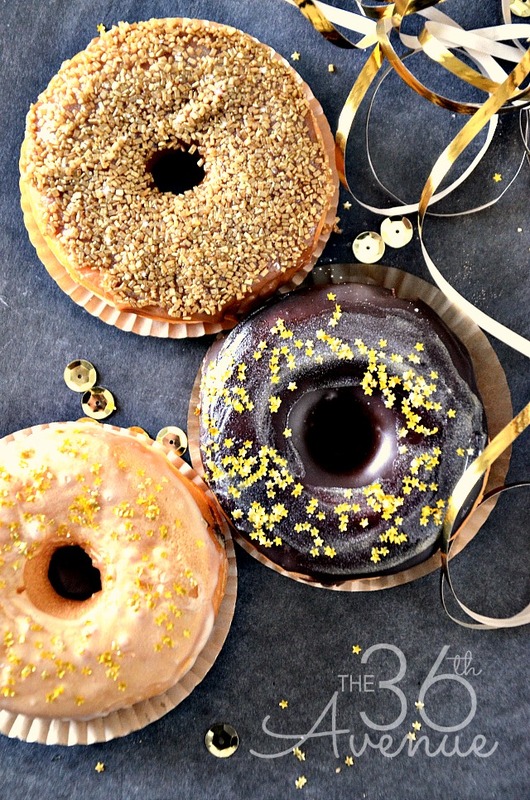 Decorate your donuts using the different types of edible gold sprinkles! I like to serve them with small milk bottles. I use these bottles all the time for Holidays and birthdays. 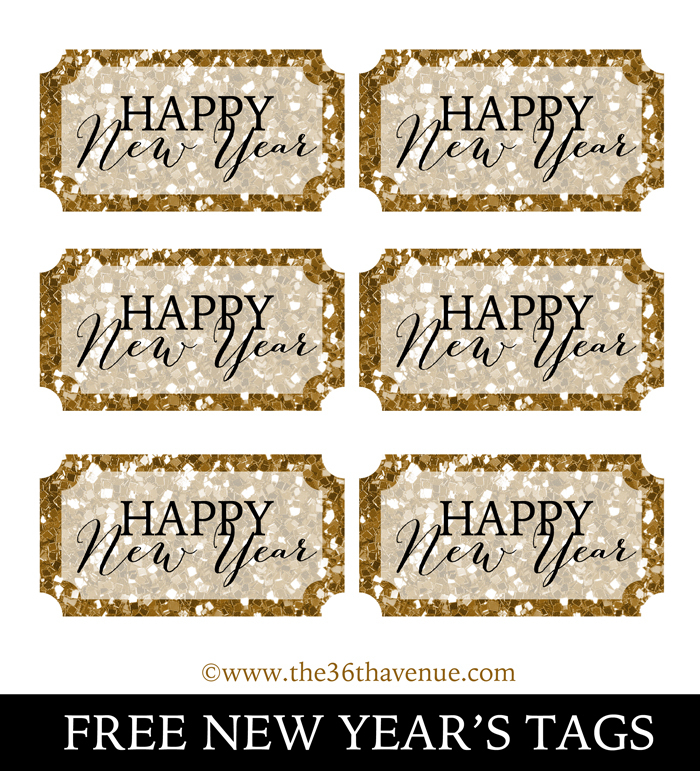 You can print HERE our Free Happy New Year’s Tag Printable. 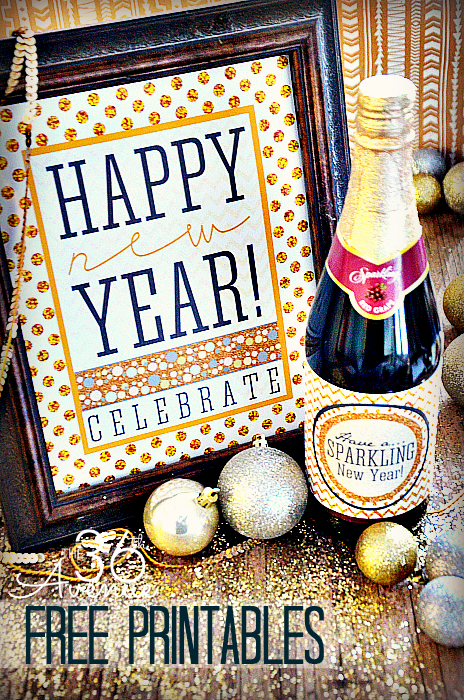 Come on… Make sure to make the first day of the year a special one! 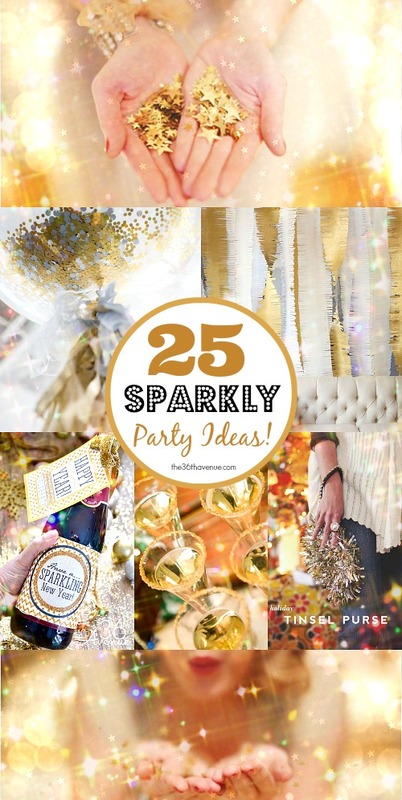 Here are some other sparkling New Year’s Ideas that we love!